Schoex is among the finest high school management software programs that is currently available. It helps you with managing your fee collection process through a paperless bookkeeping system. 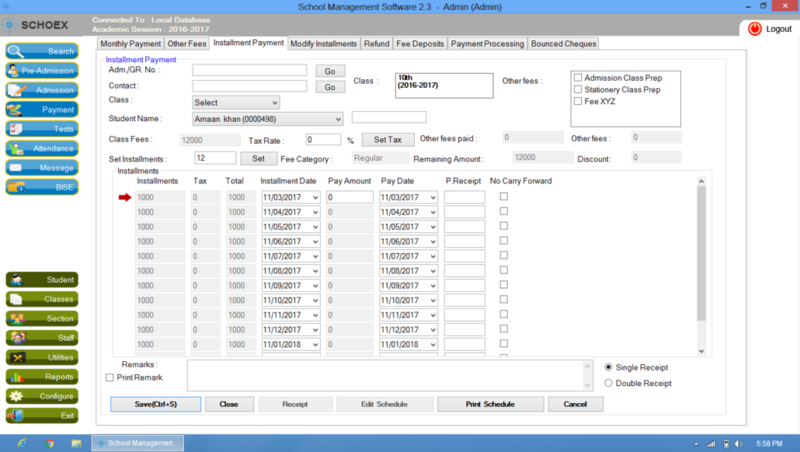 Your manual workload can be eliminated by using this school fee management system that has been designed to be user friendly and very easy to use. It doesn’t matter where you have no prior knowledge or accounts or are very experienced, the system allows you to easily generate fee dues, receive payments, create fee heads and make changes to your fee structures with very little effort on your part. It is also possible to create dynamic fee structures or define the kind of schools that will be collected from a certain grade. 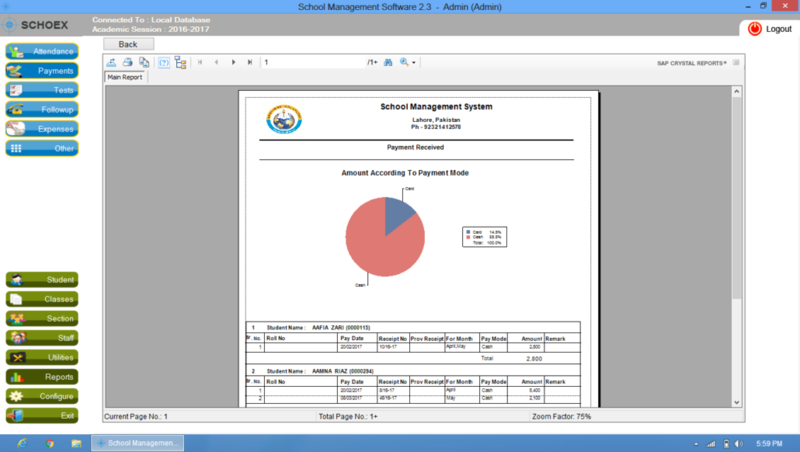 Schoex has been designed so that it can handle numerous kinds of school fee situations. 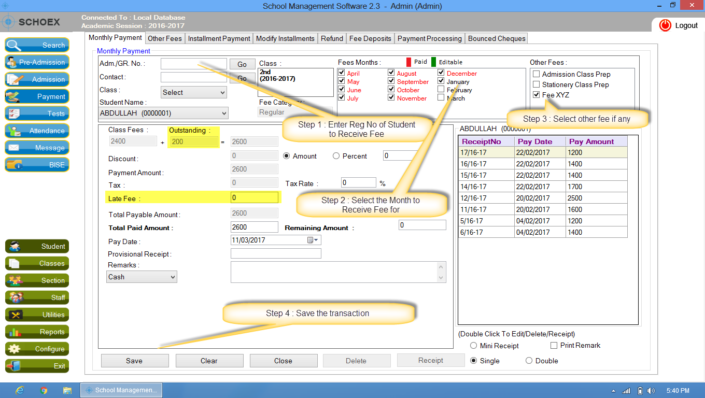 That can help you develop custom rules for your fees or come up with new ones that are based on your specific needs. It is even possible to automatically assign a fee structure to every student based on what their class fee structure is. This all just takes a couple clicks of your mouse. 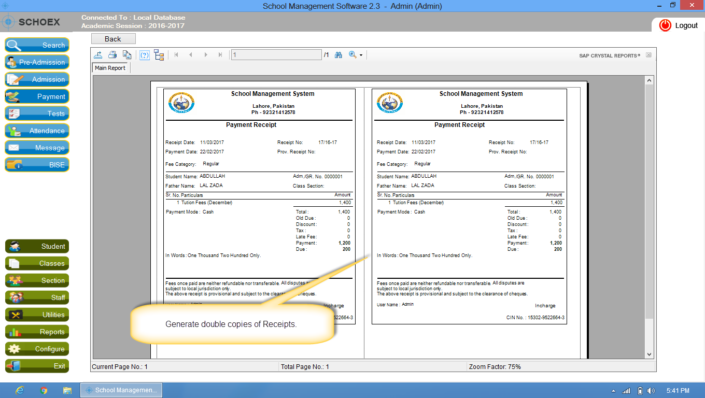 Also, any receipt or fee form can be printed within minutes when using Schoex. 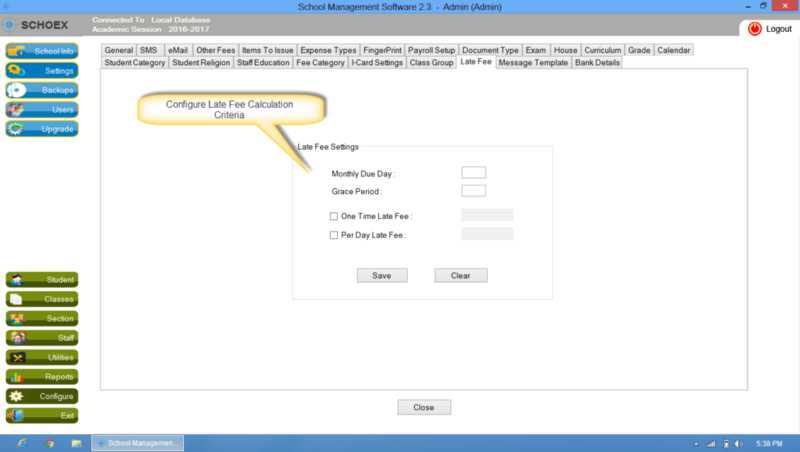 Eliminate the need for manual receipt generation when you choose our school fee management software program. 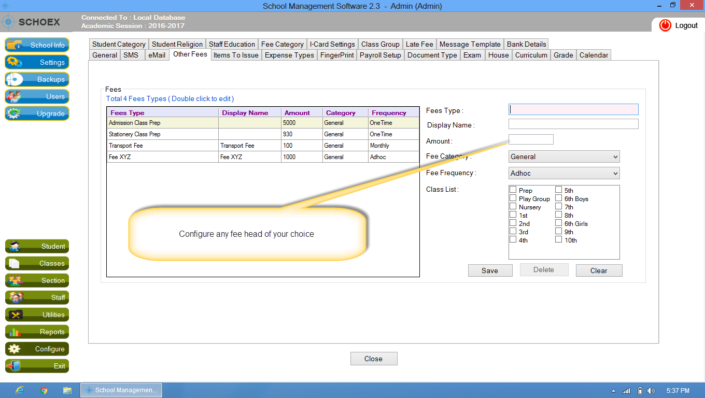 Our quality school software is customizable to meet your custom needs. Fee Heads & Fee Categories are defined by the user. Archivist Fee Management doesn’t miss any student from being included in fee. 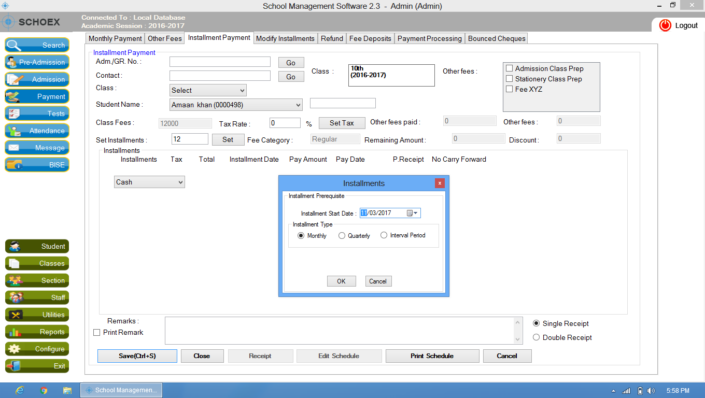 Eliminate the need for manual fee generation when you choose our web based fee management software program. 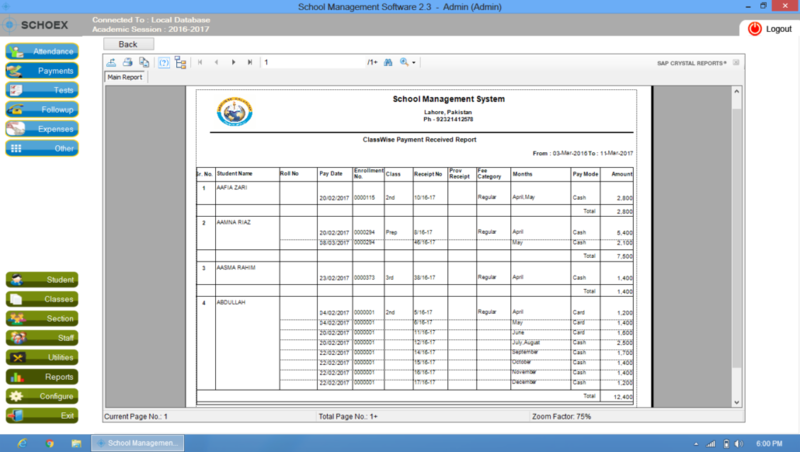 Our quality software is customizable to meet your unique needs. Fee Heads & Fee Groups are defined by the user and you even have the ability to define your own fee terms and set value terms. Monthly Expense chart gives you month wise comparison view of your expenses.